Alana White's debut historical mystery novel, THE SIGN OF THE WEEPING VIRGIN, is set at the height of the Italian Renaissance. The book features powerful (real-life) Florentine lawyer and diplomat Guid'Antonio Vespucci and his nephew and secretary, Amerigo Vespucci, as they investigate a plot involving a painting of the Virgin Mary that has begun weeping in the Vespucci family church, a missing girl, and Pope Sixtus IV's scheme to overthrow the Florentine Republic. Alana's first short fiction featuring the Vespuccis was a Mystery Readers International Macavity Award finalist. 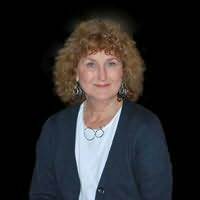 Her nonfiction articles and book reviews appear regularly in Renaissance Magazine and in the Historical Novels Review. Her lifelong fascination with Renaissance Italy has taken her to Florence for research on the Vespucci and Medici families on many occasions, and she is currently writing her second Guid'Antonio Vespucci mystery.